To hear Trad Radio Ireland stream through your web browser, just CLICK HERE, then click the play button. You can also stream on the Trad Radio Ireland Facebook Page, and click on the large ‘Player Radio‘ Menu Item on the left panel. Trad Radio Ireland is the number one Irish traditional music streaming service with listeners tuning in 24 hours a day 7 days a week. Seanie Hogan and Moya Fitzgerald offer continuous supply of great Irish traditional music for you to explore, streaming direct from Miltown Malbay in West Clare, Ireland. Click on this link to listen live! Seanie Hogan and Moya Fitzgerald hail from Tipperary and Kilkenny respectively are passionate Irish traditional musicians. When they moved to Miltown Malbay in West Clare, Ireland they decided to start up their own radio station uniquely dedicated to traditional Irish music and share their passion with the world! Trad Radio Ireland is now streaming 24/7 around the world, reaching thousands of listeners in over 60 countries including Senegal, China and the United Arab Emirates. 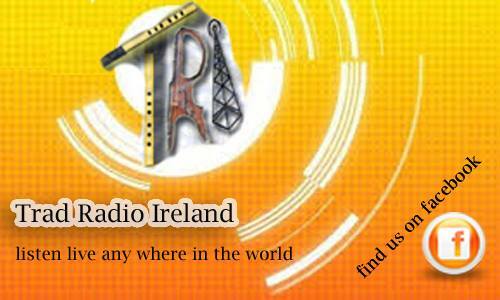 Trad Radio Ireland also covers live festivals interviewing top Irish Music Performers from all over the world. Online, Fiona offers an endless supply of great music for you to explore. Miss something on the radio? LISTEN AGAIN to the most recent episodes of The Thistle & Shamrock either on www.thistleradio.com or on NPR Music. View the show’s latest radio playlists, browse upcoming program descriptions and archived interviews and articles. You can also stream the listener-supported, commercial-free SomaFM / ThistleRadio music channel – more than 700 great tracks streaming round-the-clock. To hear the programming, just CLICK HERE, or your can point your browser to www.ThistleRadio.com, and click on the large ‘Listen Now‘ button. Ritchie was born and raised in Scotland, where she went to the University of Stirling for her undergraduate education. While there, she was invited to spend one semester in North Carolina in the United States, where she first heard NPR radio. After graduating in Scotland she returned to North Carolina and, although initially pursuing post-graduate research, was hired by WFAE FM, the NPR station in Charlotte, to oversee fundraising and promotion efforts. WFAE was a new station open to new ideas and in 1981 Ritchie began a weekly hour of Celtic music for its local audience. The Thistle & Shamrock was picked up for national broadcast less in less than two years! The program’s national following grew quickly and it was soon established as one of NPR’s most widely heard and best-loved music offerings. During her years based in North Carolina, Ritchie visited radio stations coast-to-coast across the US, presenting live broadcasts and events, and in 1989 and 1990, traveled to 22 US cities with The Thistle & Shamrock Concert Tour. Fiona Ritchie has presented numerous programs for BBC Radio Scotland and BBC Radio 2, launching the Radio Scotland world music series “Celtic Connections” in 1993. She has produced and presented many live concert performances and broadcasts, including a musical event for HRH Prince Charles in 2001 at Holyrood Palace in Edinburgh, and has acted in an advisory capacity for arts organizations in the US and UK, including serving on the Scottish advisory committee for the British Council. Originally a British citizen by his Scottish parents, Hamish Douglas Burgess, also known as Seumas (or even Jim by old friends), is now an United States citizen living on the island of Maui, in the Hawaiian Islands, where he has promoted Celtic culture for the last 15 years, collecting new Celtic music from all the greatest Celtic artists in the Celtic homelands as well as the diaspora. Hamish creates a fresh, always new 2 hour Maui Celtic Radio Show of great Celtic music with a new theme each week! These shows are always spot-on and up-to-date with what is happening in the Celtic World. Hamish blends in commentary drawn from his encyclopedic knowledge of all aspects of Celtic Culture, and often has the hottest performers as his live guests. The show is broadcast and streamed live twice on Sundays from Maui and 3 more times throughout the week, from Scotland. Full details including the world-wide broadcast schedule are at www.mauiceltic.com/radio.htm. 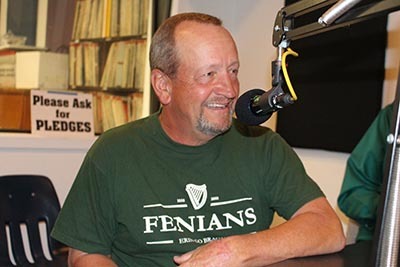 After these broadcasts are done, each Maui Celtic Radio Show is available On Demand at http://www.mixcloud.com/mauiceltic. Over 2 years of archived editions are available to listen anytime, free and on-demand! 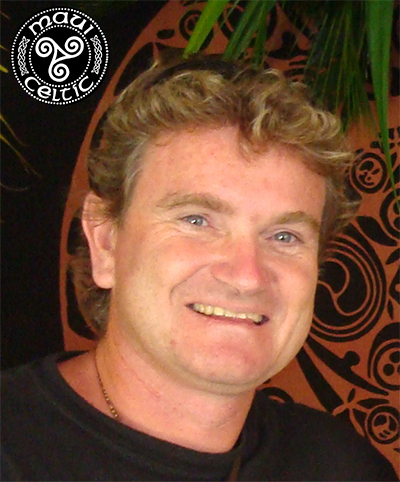 Email Hamish at: hamish@mauiceltic.com, call him at +1 (808) 264 5190, or mail him at Maui Celtic, P.O.Box 1323, Lahaina, HI 96767-1323, USA. To listen to the most recent ‘High Country Celtic Radio‘ or other KNVC programs On Demand, click on. KNVC’s On-Demand page, https://www.knvc.org/category/music-on-demand/ which features not only their material, but other locally-produced pieces. To stream KNVC programs live, just click here for their streaming webpage https://elastic.webplayer.xyz/knvc. On Demand – Live Broadcast & Streaming Shows! High Country Celtic Radio focuses on traditional, acoustic Celtic music, with a laid-back, Nevada attitude. Katie and Joe feature both new and old traditional music from across the Celtic nations and the world, with a little extra focus given to artists from the west coast of the US. Full details are maintained on their High Country Celtic Radio webpage https://www.knvc.org/show/high-country-celtic-radio/. Email Joe Bly at joebly@knvc.org. To stream KKUP programs live, just point your browser at their home webpage, kkup.org, click on the red ‘Listen Live’ link at the top right, and select the appropriate app from the list: desktop, laptop or mobile device. Live Broadcast or Streaming Shows! Support KKUP by clicking here, or call your favorite programmer at (408) 260-2999 or (831) 255-2999 during his or her show (during the music not while they are live and on the air!) and subscribe. An annual subscription of $25 will cost you less than 7 cents a day. 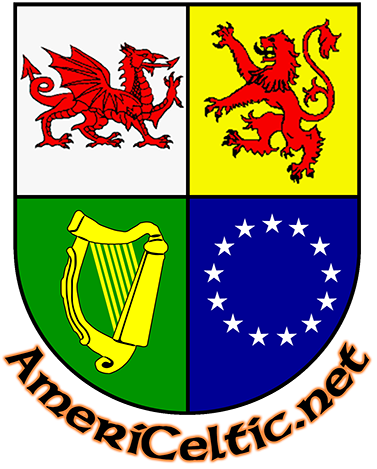 There are several Celtic Radio Shows produced in the South Bay Area by volunteers at KKUP FM. KKUP is a non-commercial radio station broadcasting at 91.5 MHz from high atop a mountain peak in the Santa Cruz mountains and is heard in both Santa Cruz and the South Bay Area. Staffed completely by volunteers and supported 100% by listeners, providing an alternate source for music and information not readily available on other stations for over 40 years. Kevin Kavanaugh hosts “The Rising of the Moon” on 4th and 5th Monday of every month, during the morning drive time from 6 am to 9 am. The ‘Blarney Rebel‘ will play folk music from North America and the British Isles, as well as singer/songwriter music, and ‘whatever else I feel like playing‘. Email Kevin at ozonrgr@comcast.net. Like the entire Kavanaugh family, Kevin has been collecting and singing Celtic songs since the 1960’s, and will bring his vast knowledge and collection of Irish and Scottish ballads, laments, and rebel songs, ensuring that your day begins with Copious Celtic Craic! Greg Winslow’s ‘Lark in the Morning’ at 6:00 AM every Wednesday morning. Greg plays a combination of traditional American folk music, current singer/songwriter material, Celtic music, and theme based programs. Peter Schwarz’s ‘New Wood’ show at 7:00 AM Thursday mornings. Peter opens his show with Celtic music, then mid-way, American and bluegrass. Find your roots! Jackie Loken’s ‘The Moonlight Trail’, 7:00 PM Thursday evenings. Jackie’s show is a mix of Country, bluegrass, folk (including Celtic) and live music. Dave Stafford’s ‘Friday Folk-off’ at 3:00 PM Friday afternoons. Dave’s show is an unpredictable mix of live music, contemporary acoustic recordings with a healthy dose of Celtic, English, and American melodies. A new Irish music and culture show, is broadcasting live every Monday at 8:00 PM. The Mountain Road is produced locally, but streams globally from https://www.kbcz.org, and broadcasts on 90.1 FM, from Boulder Creek Community Radio, KBCZ hosted by Julie O.
KBCZ is a listener supported, non-profit, non-partisan, non-commercial, educational (NCE), live broadcast and cloud streaming radio station committed to serving the local community of the San Lorenzo Valley with all locally produced original programming. KBCZ studios are located at the Boulder Creek Recreation and Park District visitor center, 13333 Middleton Ave, Boulder Creek, CA 95006. Call the BCRPD hotline at 831-200-4295 and leave a message for Leslie Buchanan. For more, check the KBCZ website at https://www.kbcz.org or the Facebook Page www.facebook.com/BCRadioNow. To stream KZYX, point your browser to www.kzyx.org and click on the ‘Listen Live‘ tab. Click Here, http://jukebox.kzyx.org, to listen on demand. Then use the drop down menu to chose the ‘Celtic genre‘, then click on the ‘Play‘ button for one of the shows from the last 14 days listed below. Live or Recorded Streaming Shows! Mendocino County Public Broadcasting offers ‘Oak and Thorn,‘ a weekly program of Celtic music, every every Sunday from 9 – 11 AM Pacific time (that’s 1700-1900 GMT). Click Here, http://www.kzyx.org to listen live on the Web and the last two weeks of shows are available for ‘On Demand‘ streaming at Click Here, http://jukebox.kzyx.org. The program is simultaneously broadcast on radio stations stations KZYX 90.7 MHz FM Philo, KZYZ 91.5 MHz FM Willits and Ukiah, K201HR 88.1 MHz FM Fort Bragg in Mendocino County and surrounding areas of Northern California. Oak & Thorn presents a wide variety of music within the ‘Celtic’ genre, from pure traditional to modern contemporary sounds, including music from Brittany, Galicia, and Asturias as well as the British Isles. In addition to the music, we occasionally offer information about the artists and/or the culture from which this wonderful music springs. Playlists and other information are maintained on our blog at http://oakandthorn.wordpress.com. Oak & Thorn also maintains a Facebook page where we post announcements of upcoming special shows, concerts, and other news of interest to Celtic music fans. On either the blog or the Facebook page, you can let us know how we are doing, ask questions, and get answers! Oak & Thorn also presents benefit concerts featuring many of the musicians heard on the program, including some of the top live bands in the genre. To find out about these events (which often sell out in advance), send an e-mail to oakandthorn@kzyx.org and ask to be put on the notification list. Tim and Colleen love to hear from listeners! During the live show on Sundays, 9-11 AM Pacific time, you can call in comments and requests: (707) 895-2448. You can email Tim Bray at oakandthorn@kzyx.org. To stream KWMR, point your browser to on www.kwmr.org and click on the yellow ‘click to play‘ icon. The broadcast range is West Marin into Sonoma County, and the west side of San Francisco: 90.5 Point Reyes Station, 89.9 Bolinas, 92.3 San Geronimo Valley. To listen on demand, chose one of the shows from the last 14 days listed at http://kwmr.org/shows/celtic-universe. 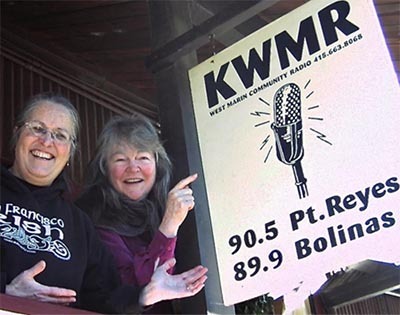 On KWMR, West Marin, CA, ‘The Celtic Universe‘ has been bringing listeners this wonderful music since late 2000. 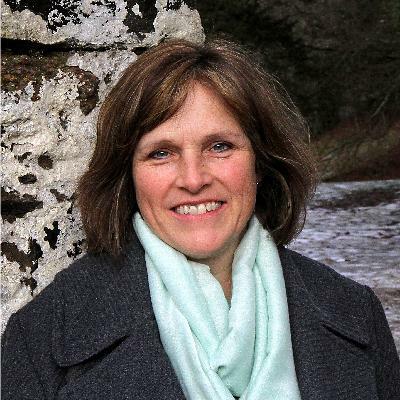 Hosts Loretta Farley and Lyons Filmer highlight music from all over the Celtic diaspora: Ireland, Wales, Scotland, England, Brittany, Galicia, Cape Breton, Newfoundland, Quebec, the U.S. Recently, they’ve also included Nordic folk music. Loretta and Lyons love to hear from listeners! During the live show on Saturdays, 6-8 pm Pacific time, you can call in comments and requests: 415-663-8492. Loretta and Lyons bring musicians on-air, both in-studio and on the phone, and love to feature Bay Area performers and the venues that host them – but it doesn’t stop there – calls come from Cape Breton, Ireland, even southeast Asia. The idea for ‘The Celtic Universe‘ began when Loretta presented a special on KWMR about Irish women and Irish history, using music, spoken word, and her own research and writing. Lyons was impressed, and suggested the two of them share hosting a Celtic music show. Happily the KWMR schedule had room! Generally Loretta and Lyons alternate weeks, and are backed up by Ken Eichstaedt and Greg DeMascio (known as McMascio when subbing). Initially, Lyons suggested the alliterative ‘Celtic Kingdom’ for the name. Loretta, feminist and democrat, countered with ‘Celtic Universe.’ Sold! Their music tastes differ and overlap; some listeners claim they can tell who’s hosting within the first 30 seconds by the music (having missed the intro, of course!). During ‘The Celtic Universe’ you will hear female and male singers in Scots Gaelic, Breton, Irish, English, Manx, Welsh ballad, love song, tragedy, humor, and beauty, waltzes (a Loretta favorite), jigs and reels, airs, strathspeys (a Lyons favorite), polkas, barndances the occasional electric guitar, pipes of all stripes, fiddle, mandolin, bodhrán, banjo, whistle, flute, accordions and concertinas, harp, harmonica, a keyboard or two. Call JoAnn or Bob while they’re on the air at 415-841-4134. (during the music, not while they are live and on the air! ), or email them at kalwfolk@rahul.net. To listen to the most recent ‘Folk Music and Beyond’ or other KALW programs On Demand, Click Here. To stream KALW programs live, just click here for their streaming webpage, and click on the ‘Play’ button. They also support the ‘TuneIn’ app and other online radio services for desktop, laptop or mobile devices. To call in in comments and requests during the live program, call 408-260-2999 or 831-255-2999. 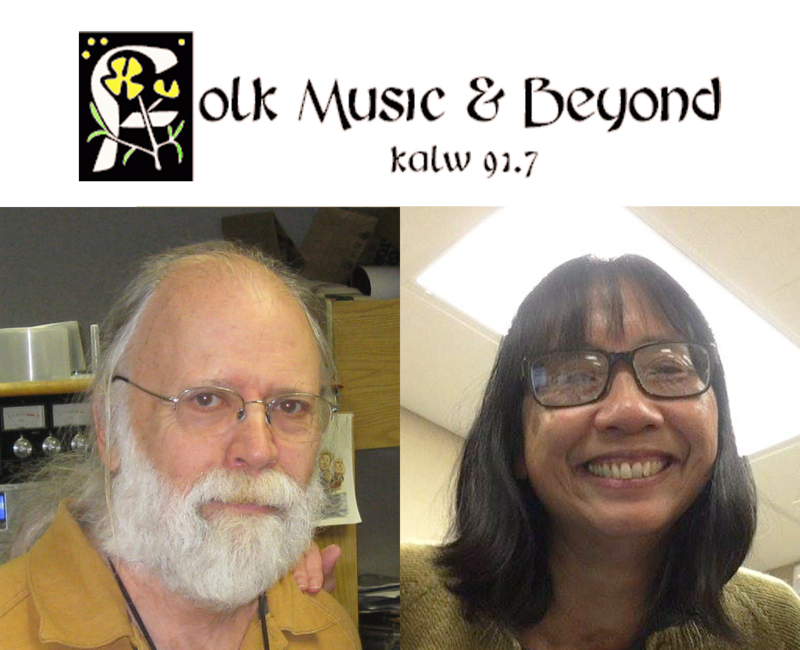 Folk Music & Beyond Radio Show produced in San Francisco by volunteers JoAnn Mar and Bob Campbell every Saturday afternoon on FM 91.7 MHz from 3:00 PM to 5:00 PM Pacific Time. Their program comes to you on NPR public radio station at KALW FM. Their live Streaming, live broadcasting on 91.7 FM from San Francisco as well as On Demand services bring you some of the best in contemporary folk, traditional, and original music from America, England, Ireland, Scotland, and other parts of the world at your convenience. JoAnn Mar and Bob Campbell started the show in 1988 in response to the lack of alternative folk/acoustic-based music on the commercial and noncommercial airwaves. This was at a time when KALW had very few live music shows and their mission was and remains to inform as well as to entertain, to challenge people’s common assumptions, reclaiming and redefining the term “folk music” taking pride in its legacy, and broadening its definition. Full details are maintained on their Folk Music & Beyond webpages at www.kalwfolk.org and http://kalw.org/programs/folk-music-beyond.